C. Viola Doney was born in 1873. She married Sebastian Snyder, son of Benewell Snyder and (?) Lydia, on 4 July 1889 at Jefferson, Pennsylvania, USA. Her married name was Snyder. C. Viola Doney died in 1929. She was buried at Jefferson, Pennsylvania, USA. [S121] Steve Weaver, "Weaver's Email," e-mail to Carl J. Denbow, 27 Jan 2014, This is a offshot lline that I didn't have much documented information on so this email represents much better documentatoin. Orignally from a GEDCOM from Susan Sharp. 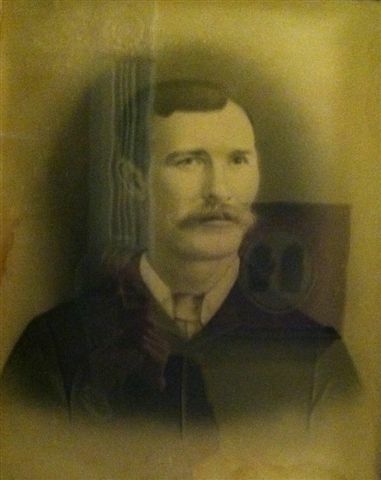 Daniel D. Doney was born on 9 December 1849 at Pennsylvania, USA; He was the first child born in Jefferson County after his parents moved from Northumberland County, Pa.1 He married Susannah Holben, daughter of Samuel Holben and Christena Gruver, in 1870. Daniel D. Doney died on 5 April 1925 at Jefferson, Pennsylvania, USA, at age 75. He was buried on 8 April 1925 at Jefferson, Pennsylvania, USA. Gerson Doney Jr. This photo was taken about the time of his second marriage. Henry Emerson Doney was born on 6 October 1903. He died in December 1982 at age 79. He was buried at Rossiter, Indiana, Pennsylvania, USA. John Doney was born on 6 January 1899 at Jefferson, Pennsylvania, USA. John Allen Doney was born on 6 February 1953 at Pennsylvania, USA. He John Allen Doney was originally buried with his grandparents, JohnCalvin and Caroline Doney, in Circle Hill Cemetery in Punxsutawney,PA. After his father, Clifford Doney, died, his body was moved toUnion Cemetery in Rossiter, PA. where his father is buried. John AllenDoney died from Spina Bifida. He died on 4 September 1954 at age 1. He was buried at Indiana, Pennsylvania, USA. John Calvin Doney was born on 30 May 1875 at Jefferson, Pennsylvania, USA.1 He also went by the name of J.C.1 He married Caroline Frantz, daughter of Henry Frantz and Caroline Anthony, on 4 July 1899 at Jefferson, Pennsylvania, USA.1 John Calvin Doney died on 18 February 1954 at Punxsutawney, Jefferson, Pennsylvania, USA, at age 78. He was buried on 21 February 1954 at Punxsutawney, Jefferson, Pennsylvania, USA. John Clifford Doney was born on 12 January 1914. He died on 24 May 1986 at age 72. He was buried at Rossiter, Indiana, Pennsylvania, USA. Lauretta 'Lettie' Doney According to Vivian Doney Reid 'Lettie' married at 16 years old. J.C. Doney told his daughter, Vivian Doney Reid, that when he andLettie were in school he would let her beat him in spelling bees. She was also known as Lauretta 'Lettie' Horm. Martha A. Doney was born at Jefferson, Pennsylvania, USA. She Jefferson County, PA. Death Records, Books 1 & 2, Doney, Martha A.,W,F, 1 year, 3 months, 2 days, Born Falls Creek, Occupation, Blank;DOD July 22, 1899 Falls Creek; Died of Cholera Infantum; Duration, 1week; Interment, Falls Creek, July 25, 1899; Father, S. F. Doney;Mother, L.A. Doney; Recorded, December 11, 1899. She died on 22 July 1899. She was buried at Jefferson, Pennsylvania, USA. 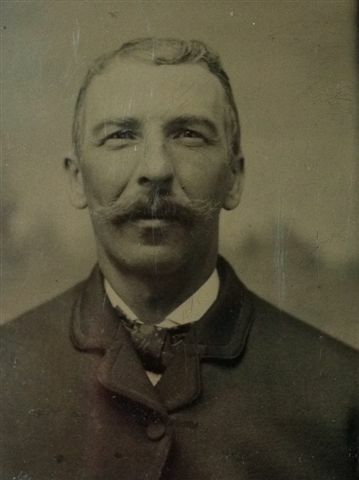 Samuel Doney was born in 1872. 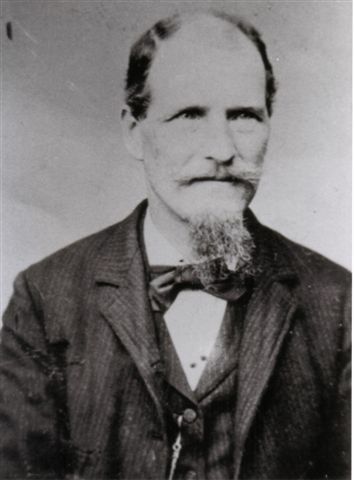 He Place of Residence: Lived in Lovell (sp), Wyoming. J.C. Doney, Henryand Clifford Doney went to Wyoming once to visit him. Occupation:Glassblower. According to Vivian Doney Reid, Samuel and Rennie wereseparated. She also stated that she believed they had 4 children; 3girls and 1 boy. William Doney was born in 1842 at Pennsylvania, USA. (an unknown value. )1 He died on 9 December 1897.2 He was buried at Jefferson, Pennsylvania, USA.